The Governors Highway Safety Association released a report March 30, 2017 that shows that the number of pedestrians killed in traffic in 2016 reached 6,000. That is the highest number in more than twenty years. It represents an 11 percent increase over last year. How many times have you seen someone crossing a street while looking at his Smartphone? How many pedestrians have you seen crossing in the middle of the street instead of at intersections? How many people have you seen trying to beat the crossing light by leaping out in front of a car in the Loop? How many drunk pedestrians have you seen walking in the street at night? Some cities, including New York, have reduced the speed limit on most streets to 25 miles per hour to protect pedestrians. Others have installed traffic calming devices such as speed bumps. 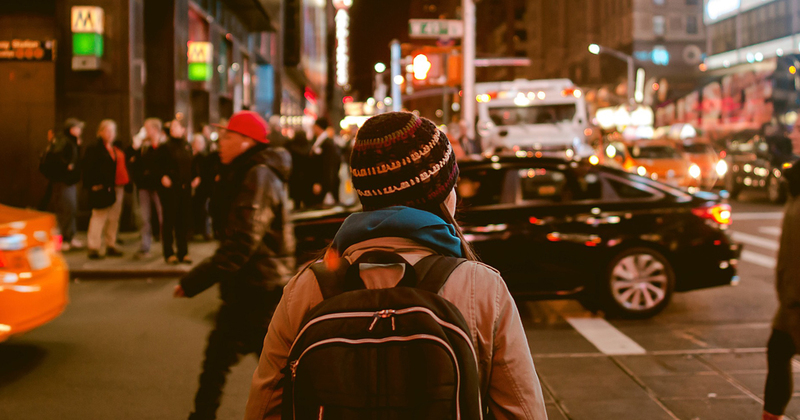 According to the Governors Highway Safety Administration, 74 percent of pedestrian fatalities occurred at night, and 72 percent of those killed were not crossing at intersections. Alcohol is another significant factor. The Governors Safety Highway Administration report showed that 15 percent of pedestrians killed each year are hit by a drunk driver, while 34 percent of pedestrians killed are legally drunk themselves. To see a humorous video about the dangers of distracted walking, go to Distracted Walking PSA You Tube at https://www.youtube.com/watch?v=5a_sUc3-Lyl. PLEASE NOTE: If you are unable to access a video by using the link, type the name of the video into your search engine. I’d like to congratulate our weekly winner Cynthia M. Cynthia lost 1% of weight. Keep up the good work Cynthia. I followed with a 0.96% loss. 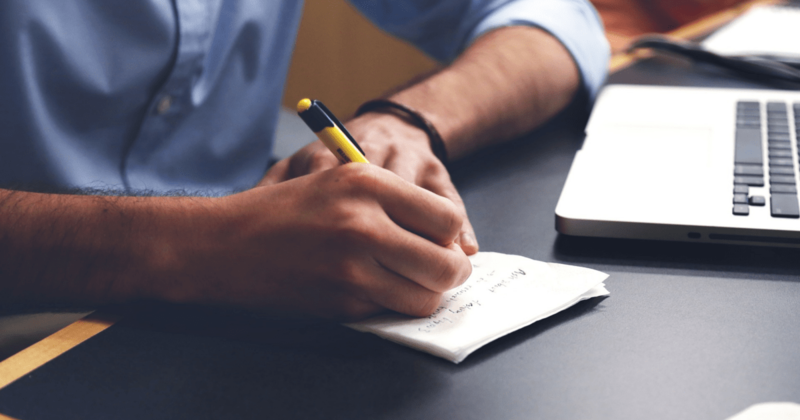 Microsoft recently compiled a list of the top ten grammar mistakes people make while using the English language. This data was culled from users of Microsoft Word and/or Outlook. Both of these have a tool called Editor, which highlights spelling and grammar errors. What do you think would be on this list? Subject verb agreement? (e.g., Thirty dogs was playing on the lawn.) This must have been a real dog party. Dangling participle? (e.g., Running down the street, the lamp lit up the sidewalk.) Quick! Catch that lamp! Misplaced modifier? (e.g., The watch on her ugly hand was worthless.) The watch was ugly, not her hand. Malapropism? (e.g., Texas has a lot of electrical votes–Yogi Berra) Texas has a lot of electoral votes. Many people believe that their computers will catch all their errors. This is not true. Microsoft Word will recognize and even automatically correct certain misspelled words. It may not recognize your grammar mistakes. YOU are responsible for the grammar. Below is the Microsoft list of the top ten grammar mistakes people make. Example: If the weather remains the same we’ll leave early. Correct: If the weather remains the same, we’ll leave early. Example: First of all we must make sure that the power is off. Correct: First of all, we must make sure that the power is off. Example: It’s cold, But we are going out. Correct: It’s cold, but we are going out. Example: My sisters car is old. Correct: My sister’s car is old. Example: I would like to buy this apples. Correct: I would like to buy these apples. Example: After all that running, I am out of breathe. Correct: After all that running, I am out of breath. Example: They had ate when we arrived. Correct: They had eaten when we arrived. Between 1908 to 1942, Sears, Roebuck, and Company sold more than 70,000 mail-order catalog homes in North America. Marketed under the name Sears Modern Homes, the houses offered the latest technology including central heating, indoor plumbing, and electricity. The houses were built primarily in East Coast and Midwest states, but Sears catalog homes have been located as far south as Florida and as far west as California. You may already be aware of a Sears catalog home in your area. According to the Web site https://en.wikipedia.org/wiki/Sears_Catalog_Home, Aurora, Illinois has 136. Carlinville, Illinois has 150 in the Standard Addition neighborhood. Downers Grove has 26 Sears homes. Elgin, Illinois has over 200. Washington, D.C. has over 200. Cincinnati, Ohio and surrounding communities in southern Ohio and Northern Kentucky have over 450. The Sears catalog homes in Carlinville, Illinois were bought in bulk by the Standard Oil Company in 1918 to house their mineworkers. The homes were built in a twelve-block area known as the Standard Addition. Using eight different models, the 150 homes were built at a total cost of approximately $1 million. 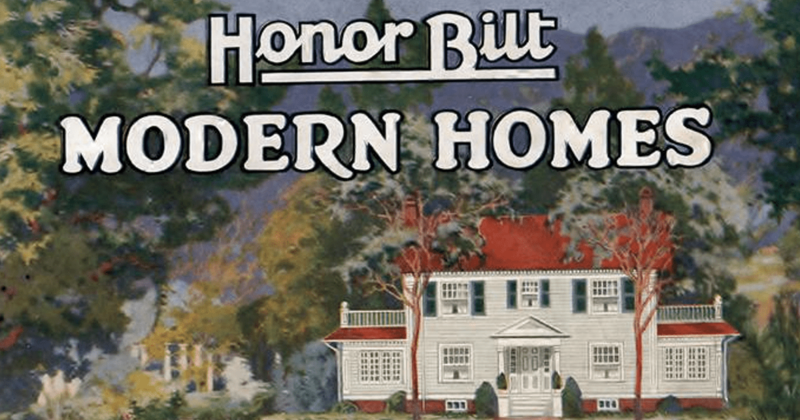 Who thought of the idea of selling homes through mail-order catalogs? Credit is given to Frank W. Kusel, a Sears manager of the building materials department. Sales were down, and there was excess inventory in the warehouses. Kusel suggested to Richard Warren Sears that the company could assemble kits of the parts needed and sell entire houses through mail order. The first Sears catalog houses sold prior to 1916 contained Sears-supplied lumber in approximate lengths, but the home builder had to cut the lumber to the exact length. In 1916, precut and fitted lumber was first offered. This reduced construction time by up to 40%. The Sears Modern Home kit was shipped by railroad boxcar and then usually trucked to the home site. According to the en.wikipedia.org article, an average kit had 25 tons of materials with over 30,000 parts. Plumbing, electrical fixtures, and heating systems were not included in the base price of the house. They could be included, at an additional cost, with the house order. The home builder was responsible for meeting local building requirements that certain work be done professionally. Today, several of the Sears catalog houses are listed on the National Register of Historic Places. Sears catalog houses can also be found in historic districts listed in the National Register of Historic Places. To see a 2013 video about Sears Modern Homes, go to Sears Modern Homes YouTube at https://www.youtube.com/watch?v=dKP2RTLkiTg. THE SEARS CATALOG HAS ARRIVED! Do you remember the excitement you felt when the Sears Christmas Catalog arrived? The glossy pages were filled with toy trucks, dolls, Tinker Toys, model airplanes, electric trains, and more. You spent hours thumbing through the pages and making your Christmas Wish List. Generations before you had felt that same excitement, but adults were the target audience then. How did it all begin? In 1886, a young watch salesman from Minnesota, Richard Warren Sears, had come to Chicago. Not long after he had arrived, Sears took out an advertisement in a Chicago paper for a watch repairman. A young man from Indiana, Alvah Roebuck, applied and was hired. In 1893, the two men become partners in a company which would become a major American retailer, Sears and Roebuck. In 1888, Sears began issuing a general catalog on top of his frequent mailings. The 1894 annual edition had 325 pages. Products in the catalog ranged from guns to sewing machines to bicycles, furniture, and “medicine” to cure various ailments. Sears, always a salesman, wrote all the copy himself. 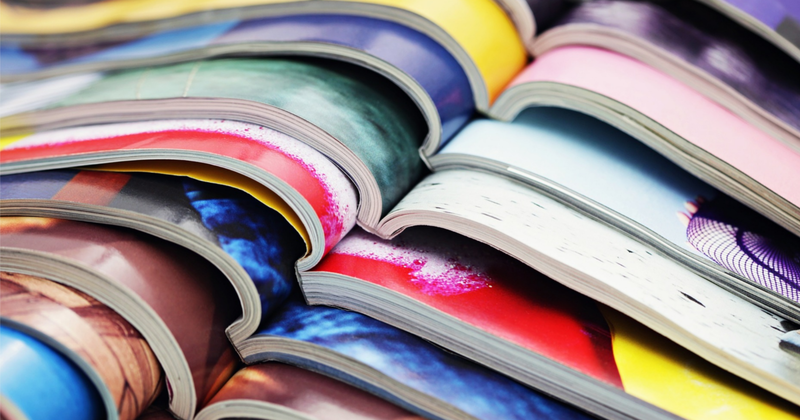 By 1895, the catalog had grown to 530 pages. Product lines had expanded and included rifles, pocket knives, and canned goods. By 1905, you could even buy an automobile or a house. The ready-to-assemble houses continued to be available until 1940. In 1906, Sears opened its catalog plant and the Sears Merchandise Building Tower in Chicago. In 1933, Sears published the first of its famous Christmas catalogs known as the “Sears Wishbook.” Featuring pages of toys and gifts, this catalog is probably the one you best remember. Several factors contributed to the success of the Sears mail-order business. Almost any product which could be shipped was available. The ads for medicinal supplies promised astonishing results. The clothing featured the newest designs and fashions. In the agricultural areas on the Great Plains, the prices were below the prices of the company store. Delivery was reliable due to the national network of railroads and the postal service. By 1948, Sears and Roebuck had opened hundreds of physical stores. The first store, which opened in 1925, was in Chicago. In the same year, the second store was opened in Evansville, Indiana. Soon there were Sears and Roebuck stores in nearly every American city and town. Customers could purchase items in the stores or pick-up their orders in the catalog department. The Sears mail-order business continued to thrive for many years. However, Sears discontinued its general merchandise catalog in 1993. In 2007, Sears brought back the popular Wish Book. Today a Sears customer can order merchandise online and have it delivered to his doorstep. To see a video about the history of the Sears catalogue, go to Mr. Sears’ Catalog—You Tube at https://www.youtube.com/watch?v=Dyx4WzcND14. 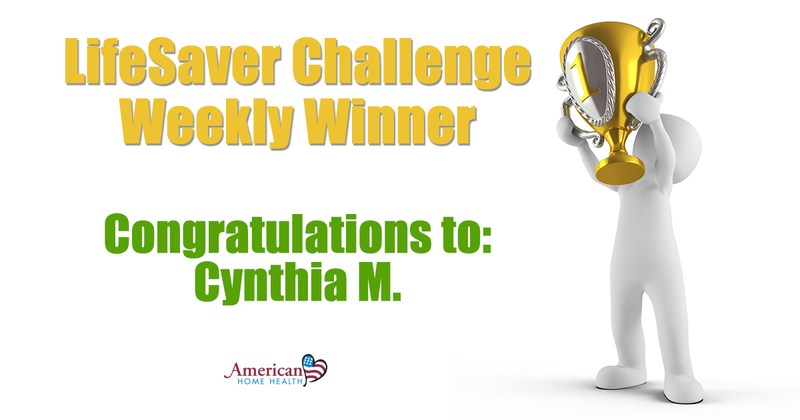 I’d like to congratulate our weekly winner Cynthia M. Cynthia lost 1.85% of weight. Keep up the good work Cynthia. Will you be the one next week? Well, that is totally up to you.